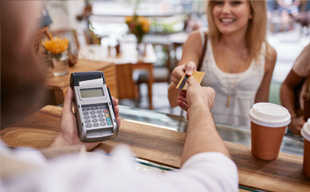 Every small business needs access to simple and streamlined credit card functionality. Outdated credit card readers are glitchy, unsecured and run the risk of making you look bad with customers, who want to shop with businesses that adhere to the highest standards of modern technology. When you partner with Merchant Tree, you’ll never again have to worry about making a bad impression, putting customer data at risk or exposing yourself to a brand-destroying security issue. Safe and reliable credit card processing for small business owners is one of the most crucial components of your business plan, whether you’ve been in business for years or are about to cut the ribbon. Not only do these provide valuable services to your business, they work together to enable your operations simply and seamlessly. One of our biggest selling points is the fact that we consider every business. While other merchant services providers either require a certain tenure in business or else provide substandard services for new ventures, we do neither. Instead, we live our belief that every business deserves a shot at success. As a result of this principle, we’ve seen many new small businesses skyrocket to success without taking on a lot of risk or lowering their standards when it comes to merchant services. We are fully integrated with Total System Services, Vantiv, JP Morgan Chase and First American. Because our services work equally effectively with all of these payment processors, you’re able to choose the one that works best for you. Plus, when you’re a member of Merchant Tree, you get wholesale pricing from the best merchant processors in the world. Think of us like Costco for merchant services … giving you access to the best deals, simply by becoming one of our valued members. Merchant Tree is integrated with and authorized to sell authorize.net, one of the premier online payment gateways. We also offer our own gateway if you’d prefer to keep all your solutions exclusively in-house, but we know many of our customers prefer the solution they already know. That’s why we offer both solutions, seamlessly integrated with all your other credit card processing needs. Need to know more? Ready to move forward? Feel free to contact us or call us at (800) 610-3922.